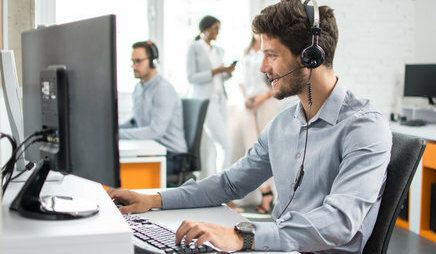 Phones ringing, people talking, keyboards clattering – in a bustling call center, communicating to busy staff is a challenge. They’re engaged in customer conversations so can’t be spoken to, and they’re busy using call software or CRM systems so already have cluttered computer screens. Call volumes are high and interruptions expensive. But there will be times when important messages need to get through – and get read. System outages, product unavailability, emergency notifications, special promotions – all impact on staff’s ability to handle customer calls. 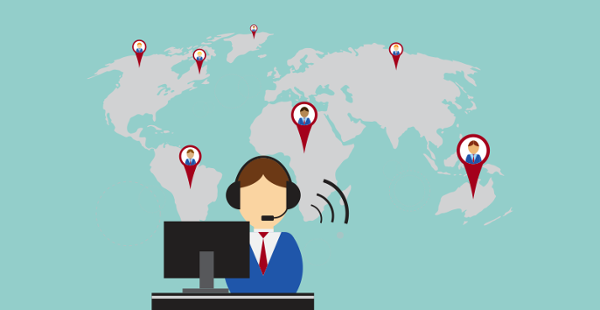 Checking emails or visiting the intranet aren’t practical for call center communication. When staff need to spend time reading long pieces of information, call waiting times increase and process efficiency is undermined. 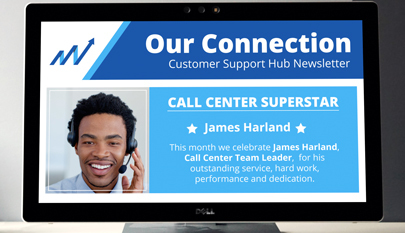 In contact center management, the goal is to motivate employees and recognize excellence. The solution is powerful communications which are visual, engaging and memorable. That’s the SnapComms solution. How can you ensure important messages stand out from other internal noise? With information overload comes message fatigue - and a real risk of critical content being overlooked. SnapComms internal communication channels ensure important messages are never missed. Bypassing email completely, these high impact visual tools get employee attention and generate action as needed. 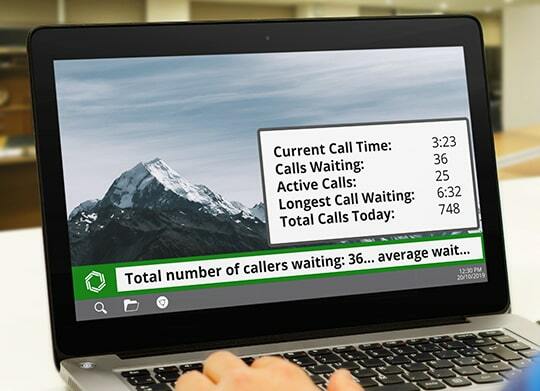 Scrolling ticker – Easy to read and non-distracting tool for call stats updates, reminders, daily tips and staff shift schedules. 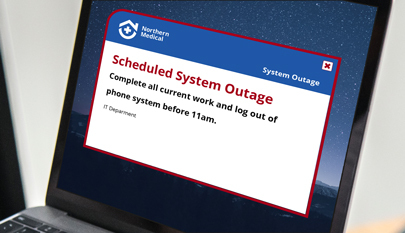 Desktop (or mobile) alert - Get noticed now for urgent messages about software downtime, process changes or emergency communications. 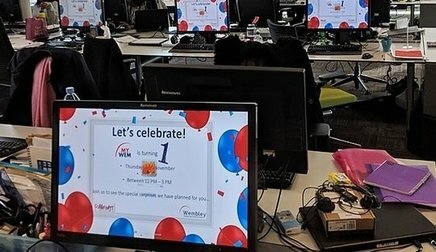 Screensaver – Visual channel for driving internal campaigns, recognizing employee of the week, reinforcing company values or promoting social events. Newsletter – Combine multiple emails, announcements and notices into an engaging newsletter, saving your staff from repeated interruptions. 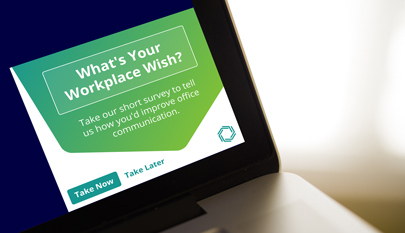 Survey – Interactive and engaging, to convey real-time feedback from staff, provide a ‘temperature check’ on staff morale and check general knowledge. Staff quizzes - Entertaining and interactive way to reinforce training on new policies and procedures. 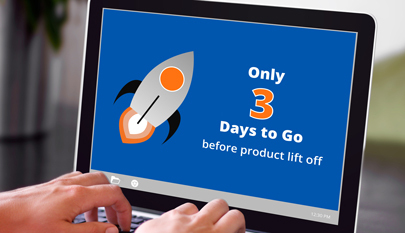 Spark interest, create a buzz and explain to staff the nitty gritty of your new product launch or marketing campaign. Call Center Staff need to know what benefits they're entitled to - and deadlines for enrolment. Frontline staff are usually the first port of call when a crisis happens. Make sure your staff are in the picture to respond to calls. 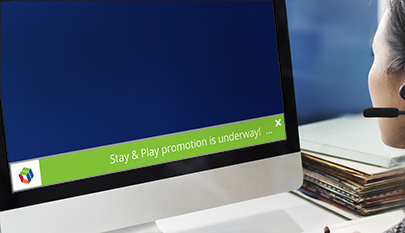 Inspire your Call Center staff with a variety of ways to motivate and engage them at work. 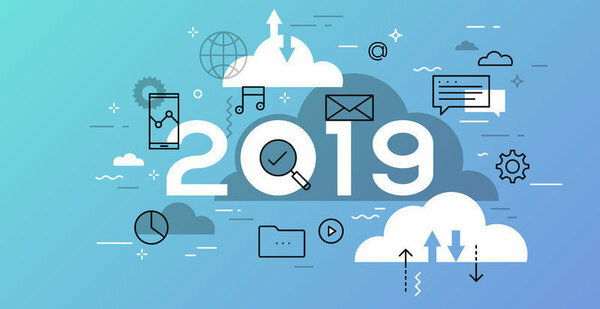 Instill a culture of Customer Success through better understanding of the long game and a focus on the ideal outcome. 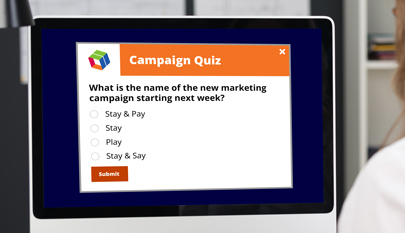 Introduce a fun, competitive element - that can deliver on improving performance - with gamification tools such as quiz and survey. Ensyst needed a reliable communication channel which delivered messages quickly and in real-time. This award-winning IT services provider needed an award-winning solution. With 80,000 staff meeting the travel needs of 140,000 passengers every day, Air France needed better internal communications to ensure their employee engagement didn’t hit turbulence. 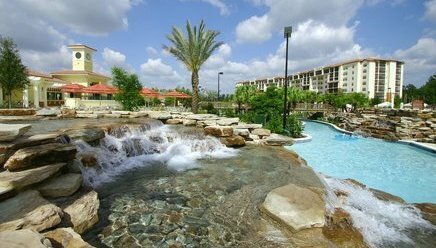 Holiday Inn partnered with us to introduce exciting new tools, which have become so essential as to now be part of their culture. Whether storms, hurricanes or natural disasters, it’s a great example of ensuring your messages get through when every second counts. Effective communications are at the heart of the telecommunications industry. Add in a younger workforce, many working shifts, and uninspiring email messages, and it’s a recipe for communication breakdown. Internal communications is the real-world solution to virtual team challenges. 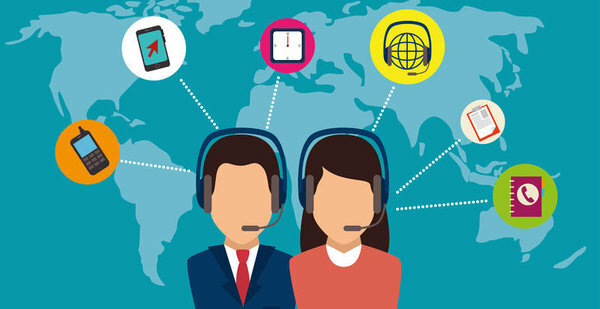 Outsourcing call centers is growing over 10% annually. What's driving this? 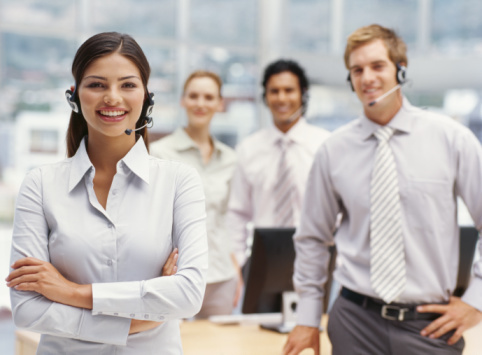 Engaging call center staff is a top priority. Here are the emerging trends we see.